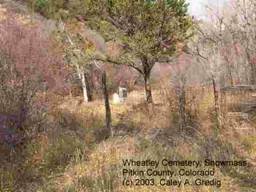 This cemetery is located approximately 100 yard east of Lower River Road = mile from the Snowmass Conoco Station on Highway 82. 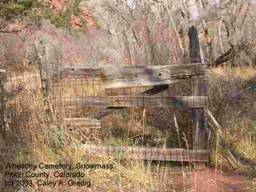 The cemetery was established as a family cemetery by John L. Wheatley for his family and close neighbors. Most stones are almost unreadable.